Do you have an account of Gmail? 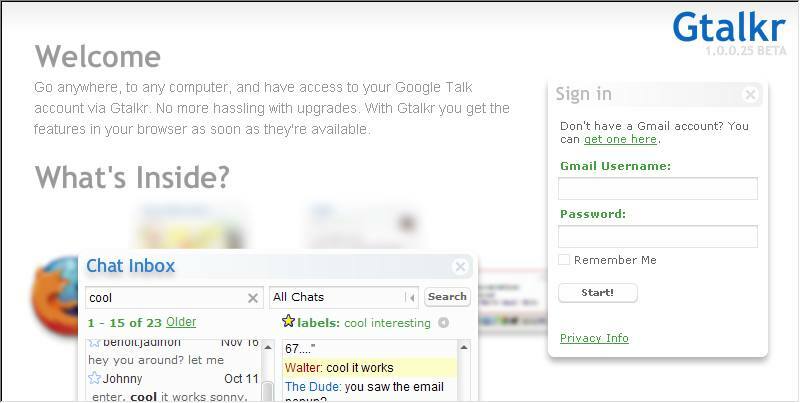 If you have it you can use Google Talk with your friends whom have same account to each other.But I don't think you know about Gtalkr.What is that? It can helps you via your Google's account to talk to your friends as Google Talk without download any software.Actually,it can access your Gmail's account.Really? Yes,it is cool.But,you need use your Gmail ID and password.